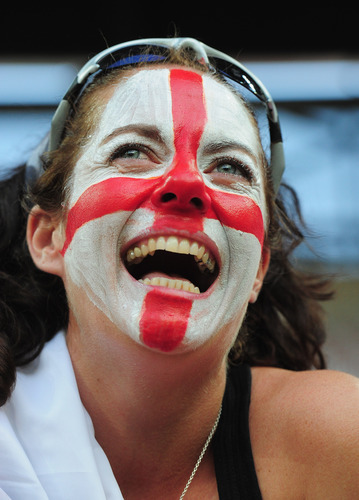 EURO 2012 is here and my wife has suddenly developed an interest in football again. I couldn’t help revisiting a polemic article I wrote during the 2006 World Cup, which created a bit of a storm. It ended with me making an appearance on TV’s Richard and Judy to defend my stance – and face an angry feminist. Here it is again for you to read and comment on. Remember, please, it’s tongue in cheek but I’d be pleased to read your comments. WE’RE halfway through the World Cup – and I can take no more. Not the football, that’s fine…it’s the wife talking about football that has to stop. Don’t get me wrong, I’m not a male chauvinist. And I love the sound of my wife’s voice – almost as much as she does. But I’m fed up with listening to her talking balls. I snapped as she began wittering about changes in England’s midfield tactics. Like millions of men, I’ve been left speechless by the sudden change that affects women every four years. Whenever I brought footie into the conversation before the World Cup, I was told to shut up and stop being a bore. Now, when the subject is raised, I can’t get a word in edgeways. Suddenly, she’s the fount of all knowledge on the subject. It doesn’t stop there. She’s even put an England flag on HER car. And a woman in an England shirt has now become the height of fashion and sexiness. Strange. When my son and I don our Liverpool shirts, she complains we look like “oiks”. I can take that but her attempt to become a living room pundit drives me out of my armchair and up the wall. It’s also the frequent stating of the obvious, like: “The pitch looks green.” Or: “Ooh, that wasn’t very nice,” when a thug of a defender clatters through one of England’s few remaining fit strikers. Then she shows her grasp of tactics by yelling “pass it” or “shoot” whenever a player has the ball – even if it is Paul Robinson taking a goal-kick. It’s worst when she gets a female pal around and they discuss the merits of David Beckham or Thierry Henry. Even this is just about bearable. What I can’t stand is when she tries to show off her “knowledge” of the beautiful game. Even Sven’s got more nous. It’s painful. Let’s admit the facts – women are genetically programmed not to understand the offside rule. On Saturday, I’ll settle down to watch the England match with a beer in one hand and a red card in the other. She has warned me that if I wave it at her she’ll exact revenge – I’ll be banned from going shopping with her. What a result! What happens if both England and Sweden win all their group games? What? Another game? How many more are they playing? Ooh, that was a big kick – when the goalie takes a goal-kick. David Beckham’s changed his hair. You’re not having another lager, are you? YOUR TURN, LADIES: GIRLS, just who is talking balls? Add your comments below! POOR Brits on junk food diets are swamping the NHS with demands for quick-fix weight loss surgery. Official figures reveal that obesity has now become a problem of the poor, in the same way malnutrition was a century ago. But more alarming is the growing number of working-class people resorting to drastic “quick fix” surgery to shed unwanted pounds. NHS hospitals carried out nearly 1,000 more weight-loss ops on fatties in 2010-11 than in the previous year. They included stomach stapling or fitting gastric bands, pouches and balloons to reduce the size of the stomach. More than 1,094 were performed on patients from the poorest 10 per cent with a further 2,391 among the most deprived 30 per cent. By contrast, only 405 in the top-earning 10 per cent of the country went under the surgeon’s knife to lose weight. Last night a Labour MP blasted the “fast food, fast ops” culture costing the health service millions. Shadow public health minister Diane Abbott said: “These figures on quick fix operations are alarming. “It is a tragedy that this fast food, fast op culture is blighting the poorest families. “A lot of these families scarcely eat fresh foods at all because calories have become cheap but real food is expensive. Experts estimate that the obesity crisis will add an extra £2billion to the health service bill by 2025, with 26 million people overweight. A gastric band operation costs £6,000, a by-pass is £11,000, a gastric balloon £4,000 and a gastric sleeve £10,000. Ms Abbott accused Health Secretary Andrew Lansley of doing too little to encourage healthy eating among the masses. She added: “It is clear that healthy school food is not high on theis government’s agenda. “Schools should be on the front line in the battle against obesity. Healthy school dinners and the teaching of domestic science are crucial tools in improving health. At least 200 Brits are currently thought to be too fat to leave home. Firemen had to demolish part of a house in South Wales last month to rescue 63 stone Georgia Davis, 19, after she was taken ill. 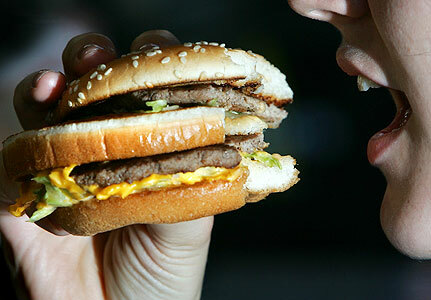 Experts estimate the obesity crisis will cost the NHS an extra £2billion by 2025, with 26 million people overweight. Meanwhile, a poll showed 56 per cent of Brits have no idea what they weight. CHILD neglect has soared to record levels as hard-pressed parents struggle to pay their bills. Thousands of kids have been found begging for food, left home alone or sleeping in freezing bedrooms. Calls to charity helplines have more than DOUBLED in two years with 12,000 cases reported in the past 12 months. More than two-thirds of incidents were so serious that police or social workers had to be drafted in. NSPCC chiefs last night warned the rising tide of neglect has piled added pressure on overstretched child protection services. They fear vulnerable families hit by the recession are being pushed over the edge as their financial problems mount. But many who need help are unable to get it as spending on social work is cut to the bone. Children’s services face unprecedented pressures, with more kids being taken into care and more families needing help. Last year 21,000 children were subject to child protection plans because they were at risk of harm from neglect, up 7.5 per cent on the previous year. The shocking statistics only cover neglect and do not include children at risk of sexual or physical abuse. Dr Ruth Gardner, head of the NSPCC’s neglect programme, said: “More people than ever are contacting us about child neglect. Callers to the charity’s helpline have described scores of cases of hungry kids begging neighbours for food. Others have been worried about youngsters left home alone because working parents can’t afford child care costs. And there have been reports of children outside in the cold for hours on end without warm clothing. A dossier of cases seen by The Sun reveals the stark reality of child suffering behind the statistics. One caller to the NSPCC helpline said: “The mother is drinking 24/7 and the child, who is three, is not being looked after properly. An email to the charity added: “There are flies and maggots in some of the rooms. The house is full of unwashed clothes and is a mess. 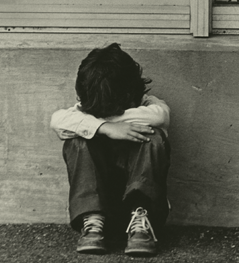 Neglect is a “creeping problem” among both rich and poor families, according to the NSPCC. Astonishingly, it goes on in 8.1 per cent of the more affluent homes. But it is twice as high among lower social groups where 16 per cent of kids suffer. Too little is done to protect neglected kids in two in five child protection plans, according to research by Bristol University. Professor Eileen Munro highlighted the importance of acting quickly in her review of children’s services following the death of Baby P in 2007. But Dr Gardner stressed: “Social workers tell us they need better tools and training to help them identify and tackle neglect earlier. An anonymous caller about a three-year-old boy. An anonymous caller about a ten-year-old boy. A neighbour concerned about children aged seven and four. A neighbour contacting the NSPCC about a 12-year-old boy. A neighbour contacting the NSPCC about an eight-year-old boy.